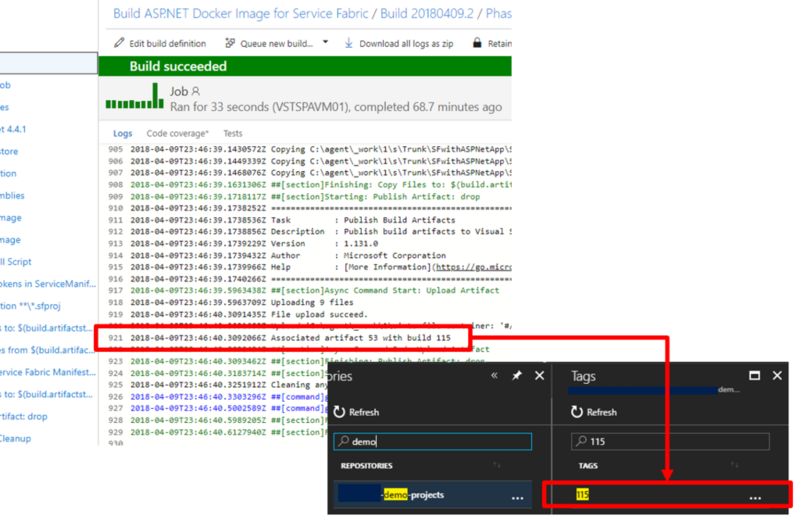 I believe you have already created your own Docker images and pushed them into your Azure Container Registry. 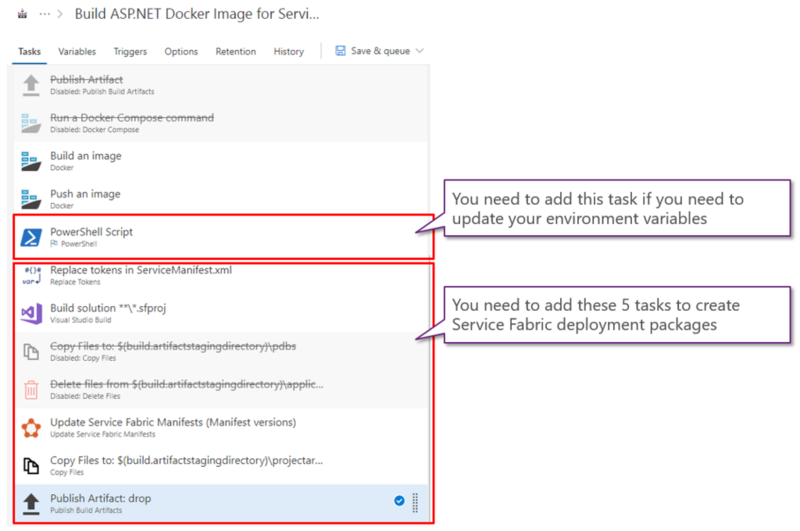 Now, you also need to specify the images with Service Fabric setting files to use them by your Service Fabric cluster. You need to add 5 tasks after your "Push an image" task, but you also need to add "PowerShell Script" task if you might need to use capital letters in your project names or something. 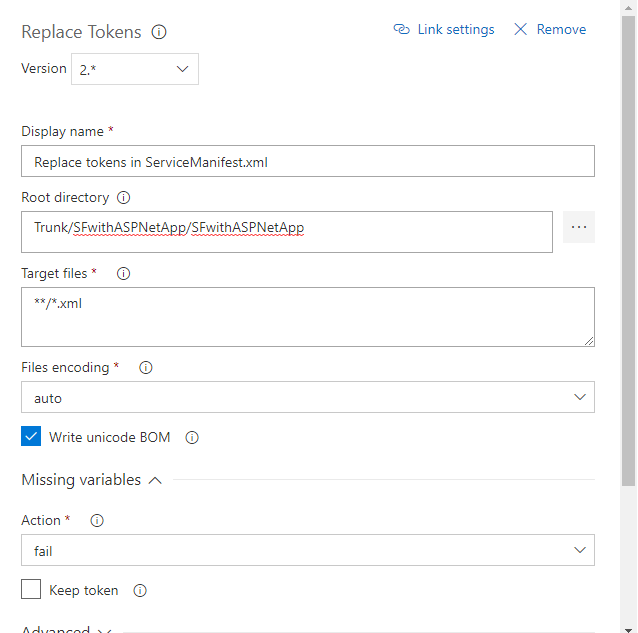 Refer to How to override values of environment variables on VSTS tasks - normalian blog to override environment variables. Now, we will introduce how to setup the tasks. You need to update ServiceManifest.xml to specify your Docker image for your Service Fabric cluster. 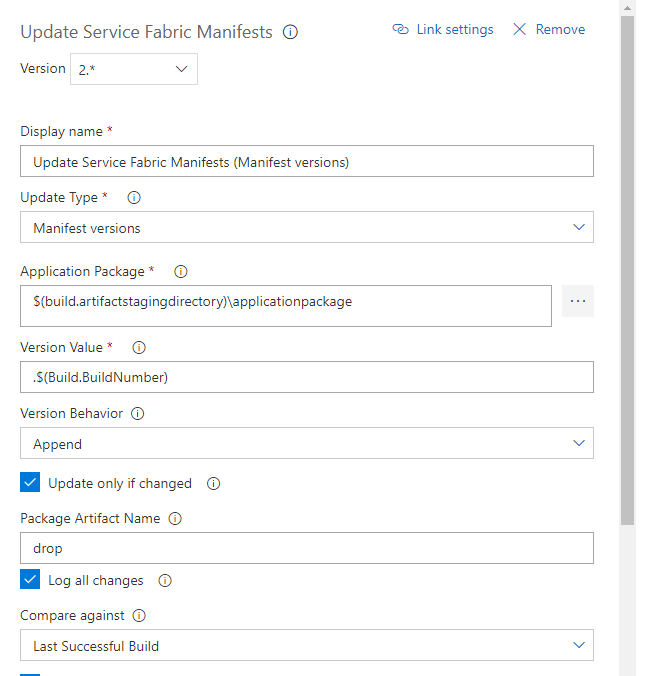 You need to specify *.sfproj file to build your Service Fabric application like below. You need to update your ServiceManifest.xml version number by environment variable. You also need to copy your application xml files. 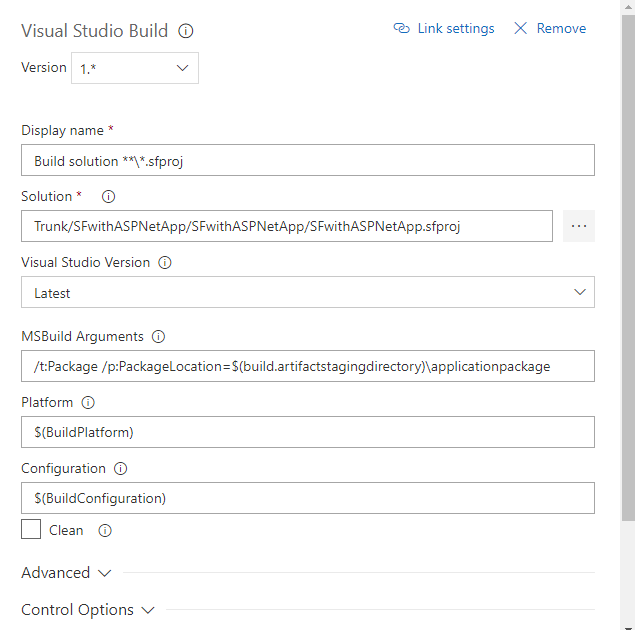 Finally, you can publish your build artifacts and you can use it in your Release process. 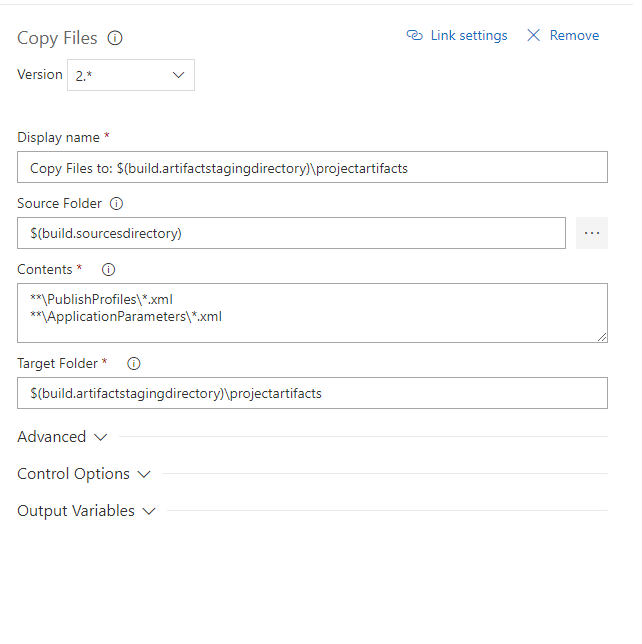 You can watch your build result logs in VSTS Build page like below, and you also can find your build number like below. The number is used for Docker images tags.